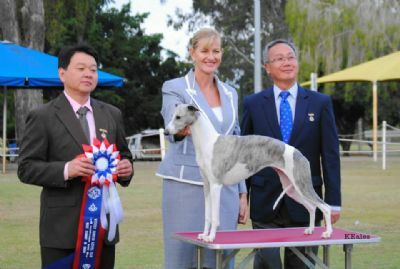 Now a Supreme Champion, my pride & joy, Patience, gained this prestigious title with a Best in Show win under an international panel of judges in amazingly strong competition. I have had so much fun with this gorgeous little lady. 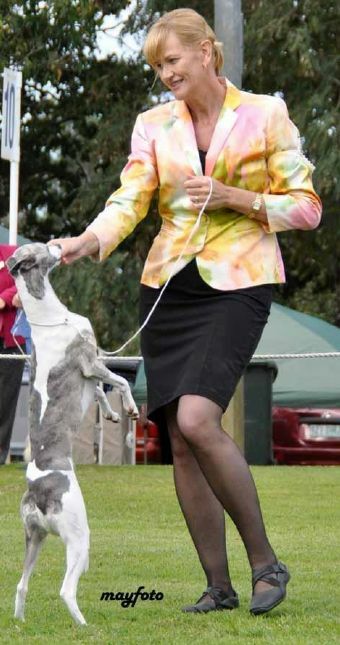 Patience is a Multiple Best in Show Winner, Winning under specialist & all breed judes from both Australia & abroad this young lady has only just begun. At only three years of age, Patience is set for an even bigger future. I love this girl so much, she is always ready to go to the show, wanting her nails & hair done every time the grooming table comes out & jumping at the starting gate to get in the ring. Her Father is the supersuccessful sire, A Ch Nabihah Numero Oono ET & her mother is Ch Oakway Dress Fth Boys. My heartfelt thanks go to Jill Marks who organised this marriage & delivered this amazing litter that has produced Patience & her sister Powder. Now the time has come for our beautiful girl to become a Mum. 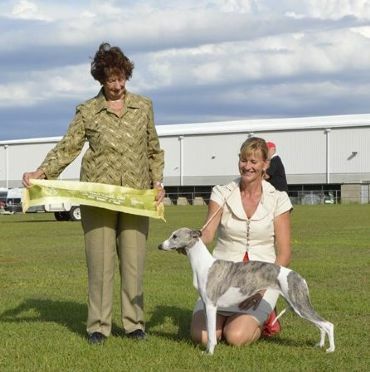 WE look forward to an outstanding litter from Patience in 2015.